Education professional with a BSEd focused in Early Childhood Education from Ohio University. Passionate about youth and adult literacy, with a demonstrated history of working in libraries and K-12 education. Skilled in classroom management, lesson planning, educational technology, and curriculum development. I AM ALWAYS LOOKING FOR OPPORTUNITIES to make a meaningful impact ON FAMILIES in a role that might utilize my passion for literacy, education, and empowering others to learn and develop their skills in order to achieve their goals. My primary responsibilities included developing a partnership with Zanesville City Schools for the purpose of creating or enhancing products and services that might be of interest to educators, school librarians, students, and their families, as well as creating internal programs that allowed patrons the opportunity to explore computers, coding, and robotics. In March of 2015, I organized two edcamp conferences which gathered educators from across Muskingum County to discuss topics in education and literacy. The success of this event inspired the library to sponsor a second event later that year in October. The beauty of an edcamp is that attendees drive the conversation, and this event truly represented the library's mission to "connect people with ideas, information, and each other." In the spring of 2016, while attending SXSWedu in Austin, TX, I met Joanna Bersin and Rebecca Sweetman, then the Head of Education and VP of Operations at Kano. 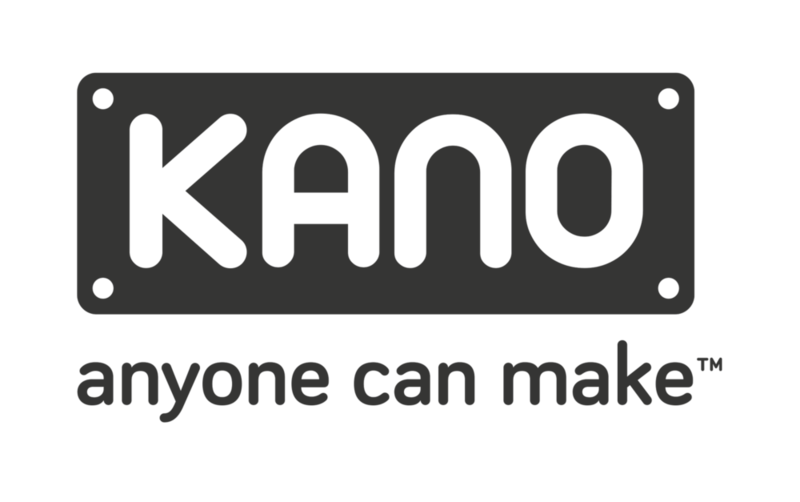 As a result of our conversations about Kano's flagship product, I returned to the library and began planning a workshop where children in grades K-5 could come to the library and build their very own computer. The workshop was one of our most successful events at the library that year; within half an hour of registration opening up, we already had a waiting list of 30-40 children. It also caught the attention of Kano, who featured our work as one of their case studies and in their marketing efforts at the 2016 and 2017 American Library Association (ALA) nationwide conferences. In the fall of 2016, Sophie Bailey invited me on to episode #33 of The EdTech Podcast, where we talked for over an hour about the future of public libraries, the role that coding and programming can play in broadening student learning, and some best practices in facilitating similar learning experiences. And more recently, eSchoolNews invited me to contribute an article as part of their "The New Librarian" series. It was the the Dollar General Literacy Foundation that granted our library the ability to begin some of our most unique and innovative projects. In the fall of 2014, the city of Zanesville was targeted by DGLF as a community they wanted to invest heavily in. The library was invited to propose several projects that could only be made possible with significant outside funding - and as a result, we began three initiatives that would chart the course of my work with the library for more than three years. What impact could a long-term, focused partnership with a school and the public library create? We wanted to find out. Students are equipped 1:1 with iPads and given access to a library of eBooks, while their teachers are provided with valuable instructional feedback. Teams of 5th-grade students read librarian-selected books and then compete in a fun Quiz Bowl-style competition at the library! More recently, I guided the library through a much-needed transformation of one of its most well-known annual programs - Summer Reading. In 2017 we began looking into digital alternatives to a system that was still very "pen-and-paper" focused. For several months we tested software and web applications before choosing to work with Beanstack, a product created by ZooBean. Integrating Beanstack into our traditional Summer Reading workflow was a year-long process and required months of brainstorming and staff training, which I led in the absence of a full-time Youth Services manager. We fully implemented Beanstack as the backbone of our 2018 Summer Experience program - Libraries Rock! - and the feedback from our patrons has been nothing but positive all summer long. Within 4 weeks we had surpassed 2017's enrollment and were seeing levels of engagement from our Summer Readers that confirmed our belief that our children were more prepared than ever before to spend their summer interacting with the public library and, most importantly, reading! I led instruction in developmental reading and study skills for non-traditional students, including parents, recent high school graduates requiring intervention, and those returning to college after years away from the classroom. I managed and led instruction in a small, self-contained classroom of 6 third-grade students with special needs, as a trial program for an alternative school. I then helped transition the program into a new school year, adding 30+ students to the program and 2 additional classroom teachers. I was required to work under the guidelines of Ohio's Third Grade Reading Guarantee to identify students requiring intervention in reading and to implement necessary instruction to address those reading deficits. In 2017, I was selected to represent the Muskingum County Library System alongside partners from Zanesville City Schools in the 2017 ILEAD Ohio program. We participated in 9 days of leadership training and seminars related to project management and advocacy, and we received $3,000 in funding to create the Linked for Digital Literacy initiative, an expansion of an existing library program to include issues related to digital privacy and appropriate use of social media and Internet services. A promotional video that our team created in less than 48 hours at our first ILEAD Ohio gathering.